The Raksha Bandhan festival is a popular Hindu festival that's been celebrating the love and affection between the brother and sister, who may or may not be Biologically related. It's just a way of representing our love towards a sisterly or brotherly person. 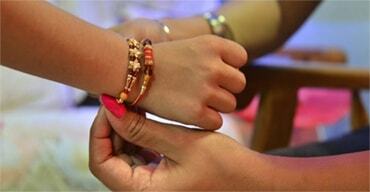 If you go through the history about the origin of Raksha Bandhan, you might actually find plenty. But every story speaks Brotherhood and Sisterhood in it. 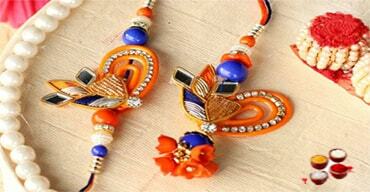 Rakhis are the representation of such love and affection we shower on them. 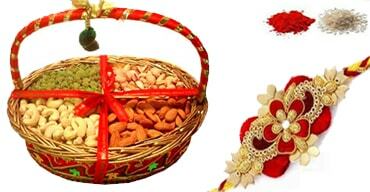 If you are planning to shop innovative Raksha Bandhan gifts for your brother/sister online? Orderyourchoice.com is the best online gift portal coming with a wide variety of Rakhi gifts, exciting offers & free home delivery. If you are confused about how to choose best Rakhi Gifts for your brother or sister, don’t worry. OYC will help you to choose the best and memorable Rakhi Gift for your sibling. To make this process easier, we are presenting some creative and innovative Rakhi Gift Ideas for brothers and also exceptional attractive gift ideas for sisters. Raksha Bandhan. This is an annual customary performed in India and by the people of the Indian subcontinent. The festival revolves around tying Bands, Threads, Amulets and Talisman which are commonly called as Rakhi, as a form of ritual protection. Principally, the protection is offered by sisters to their brothers. Raksha Bandhan is observed on the last day of Shraavana month in the Hindu Lunar Calendar, which every year falls in the month of August. On this particular day, sisters of all ages tie Rakhi, around the wrists of Brothers ritually protecting their brothers. In return, sister will receive gifts from brother as a traditional way of investing in their responsibility and potential care. There are several stories in the Hinduism to depict the significance of this rather special festival. Each story has Lord Vishnu in it and it represents how a sister ties a holy thread around the wrist of her brotherly figure and he wins the battles. Some of the important stories among them are Indra – Bali story, King Bali and Goddess Lakshmi story, Yama and Yamuna story and most importantly Draupadi and Krishna story. There might be a significant amount of doubt in the authenticity of those stories, but the core depicts a beautiful relationship bond between a brother and a sister. 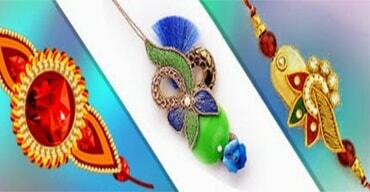 With the reference of these histories, people of India celebrate Raksha Bandhan every year by sister tying the Rakhi around their brothers and in return brother will have to gift his sister with some present. India has a rich cultural heritage all beautifully entwined with the daily life of you and me. 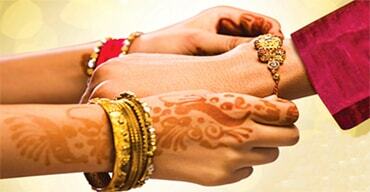 Unlike other normal occasions, Raksha Bandhan highlights the purity of a relationship between a brother and sister. Hence, Orderyourchoice.com - the largest shopping store online is proud to introduce a range of Raksha Bandhan gifts available for u perusal. Make this Raksha Bandhan an excuse to pamper your much-loved brother or sister with the gifts available at OYC. There are festive discounts available on the products to ease your burden on expenses. For the sweet lovers, there is a huge spread of tasty sweets like Besan Laddus, Moti Chor Laddus, Sonpapdi, Milk Sweets, Kaju Burfi, Rakhi special Kaju Katlis and much other famous south and North Indian varieties. Not to mention the famous Ghevar from Rajasthan; it is also available at OYC with same day delivery option in Jaipur. If you are a brother who thinks differently from others, why not surprise your sister with a modern return gift to show how happy you are to have a sister like her. You can also choose from the fashion jewelry sets that would make her look beautiful always. Looking for something more, then go for the combo gifts for Raksha Bandhan consisting of sweets, flowers, cakes or chocolates with or without personalized messages. Dry fruit hampers show your concern for your loved ones while saree gifts and shirt packs with formal and casual wear show your magnanimity. There are lovely coffee mugs with the special phrases like “I love my brother” too which is sure to melt your brother’s heart every day. To know how easy it is to order and send a Raksha Bandhan gift for your dear brother or sister, Visit OYC today! 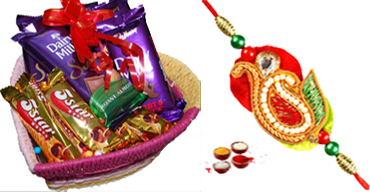 An Exclusive collection of Rakhi Gifts including designer Rakhi, Raksha Bandhan Special sweets, Rakhi Gift Hamper. 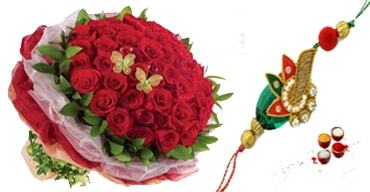 Say your warmest wishes on this important occasion and send Rakhi gift to India through OrderYourChoice. Will I get Rakhi below Rs.500? 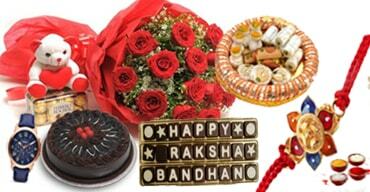 Yes, we have Rakhi below 500rs, Surf through our Raksha Bhandhan page for best rakhi gifts. Is there any combo combining Chocolates and Rakhi? Yes, we have customized chocolate and sweets combo along with Rakhi. Look for Our Rakhi hamper collections for your desired Product. Ordered this rakhi gift for my sister. Thanks a lot for delivering the Raksha Bandhan gift in the requesting time. Flowers are so gorgeous and fresh. Good Raksha Bandhan gift combo. Nice delivery service too. Very well packed chocolate gift and Raksha Bandhan Rakhi delivered in a beautiful basket. Good work OYC. Ordered this Pista roll mix box to my sister on Raksha Bandhan. It's her favorite, she loved it. Thanks for delivering on the right day. Cookies were so good and crispy. Rakhi set was also very nice and special. Gave this Raksha Bandhan combo gift to my sister and he was happily receiving it. Best combo to gift my sister in Raksha Bandhan. Ordered this a day before, still, it was delivered on the Raksha Bandhan day. Thank you Oyc. It was a last minute order for my brother, I order a rakhi as i was away from home for studies. OYC guys made my day. thank you Orderyourchoice. Im a regular customer and happy about all the products recievedtill date. Thank you. I ordered a Hamper of chocolates and Rakhi for my brother in chennai. Thank you for the timely delivery. Happy customer. This combo is so useful for me. I sent this Raksha Bandhan gift to my sister in Jaipur from Dubai. It reached correctly. 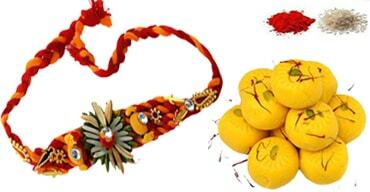 Ordered this Rakhi combo to gift my Brother on Raksha Bandhan. It was delivered right on the Raksha Bandhan day in given time slot. Thanks a lot, OYC.